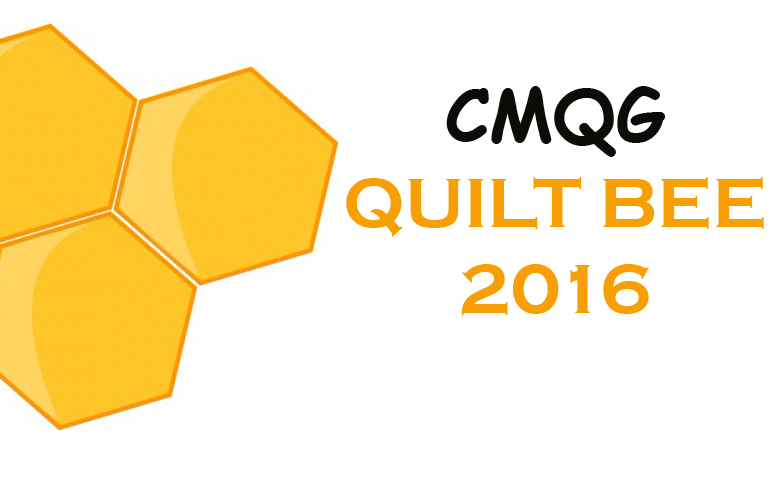 At the March meeting, we kicked off a year of Traveling Quilts! Members signed up to participate and were then divided into three groups. 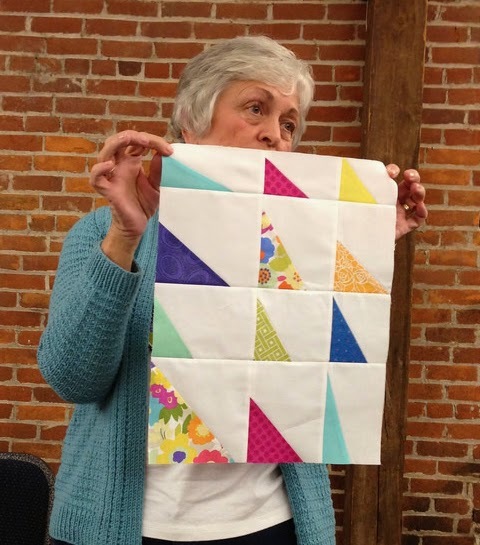 Each member of the group made a block for their Traveling Quilt and specified guidelines she would like the rest of the group to follow when making a block for that quilt. 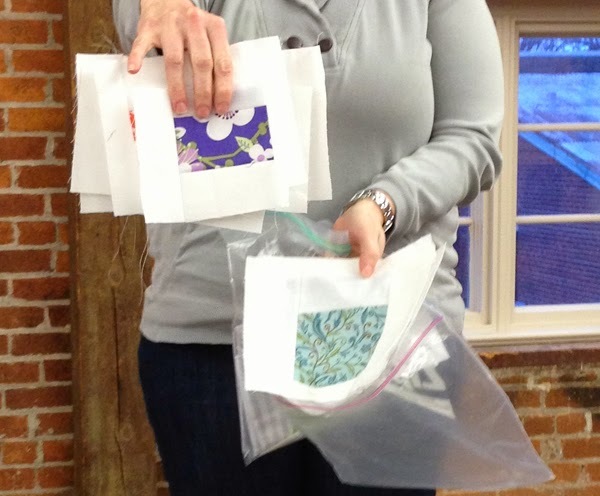 At the end of the March meeting, each quilt block went home with someone else who is to make a block to go into a quilt with the original block. The members have two months to make a block, and then in May the blocks will go to another member of the group. We'll trade blocks in July, September and November, as well. Here's our original blocks along with some of the guidelines the maker put into place. 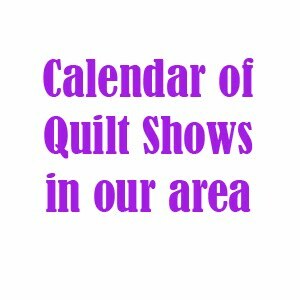 We'll show round two of the Traveling Quilts in May! 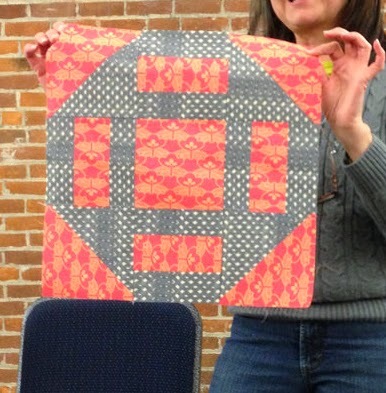 Christine's Traveling Quilt. 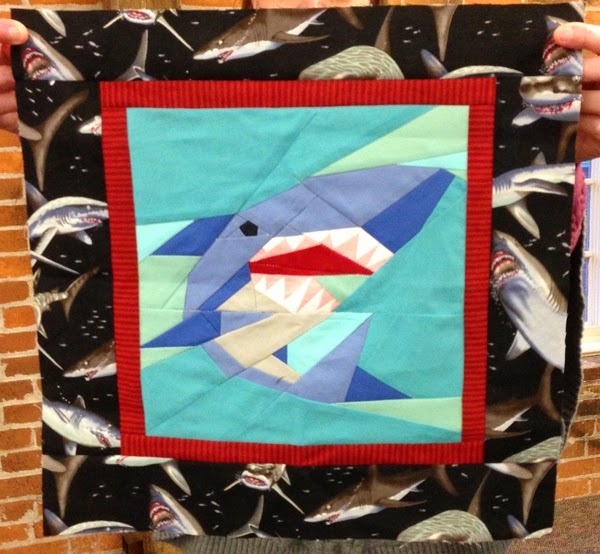 Guidelines: the goal is for this quilt to get donated to a boy between the ages of 8 and 12, so not girly, using red, blue, gray, and teal as primary colors; sharks not required. 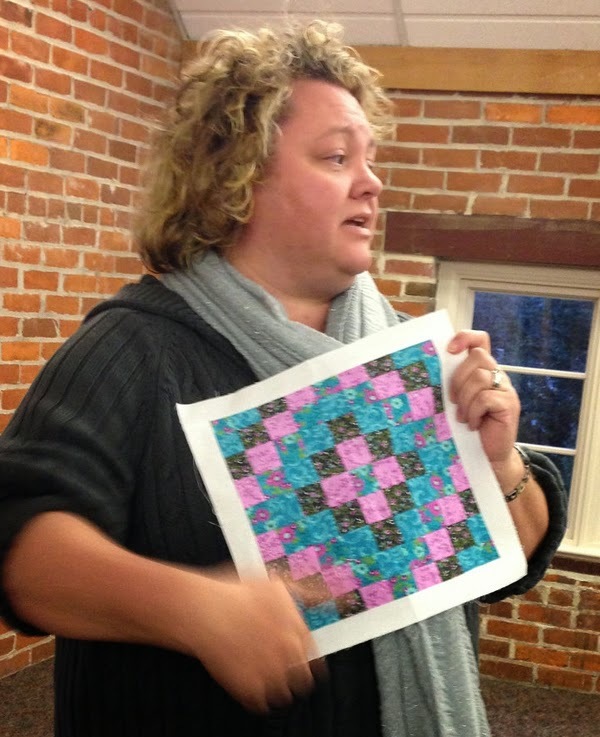 Kim's Traveling Quilt. 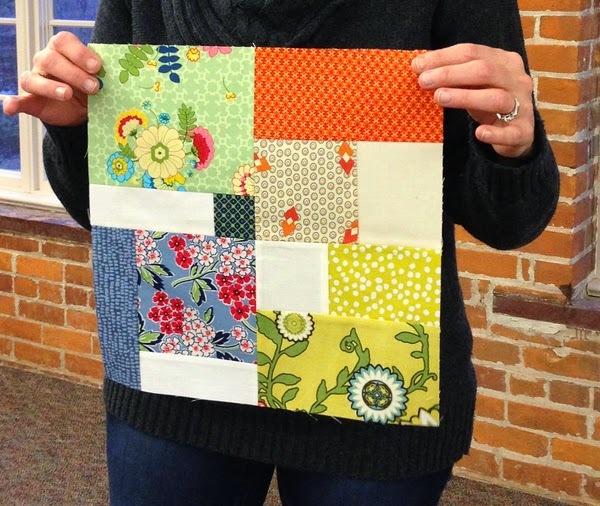 Guidelines: make any mini quilt block in any colors and add a white border. 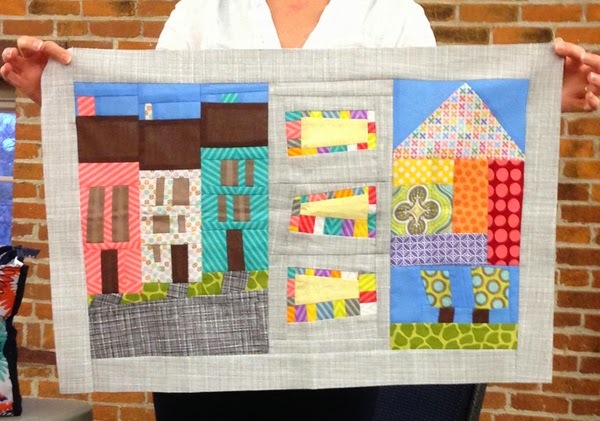 Teresa's Traveling Quilt. Guidelines: mix lights and darks plus neutrals, but otherwise anything goes. 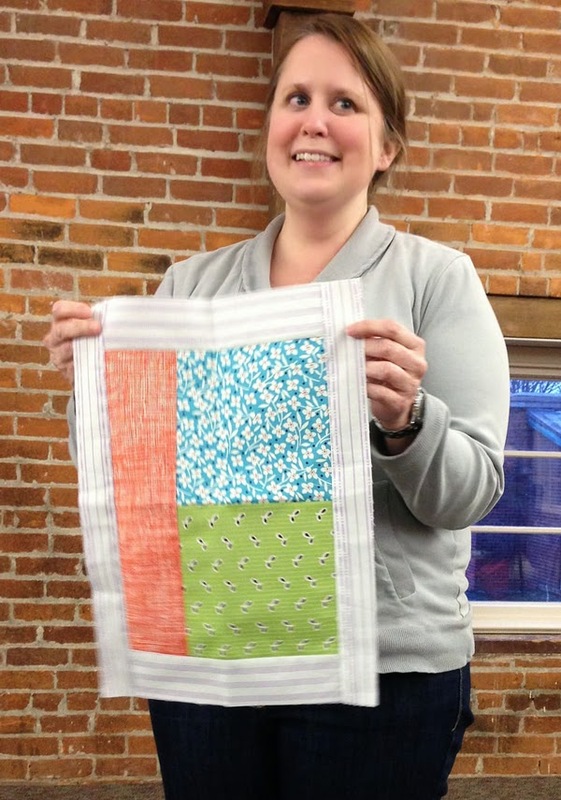 Ellen's Traveling Quilt. Guidelines: whatever—you can even cut up her piece! 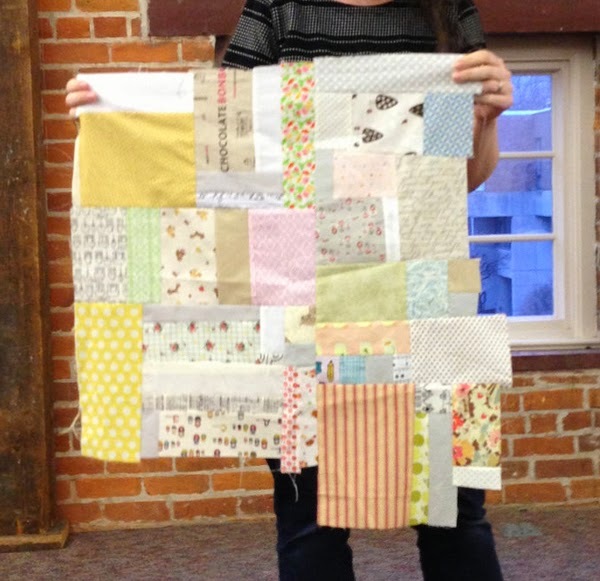 Amy's Traveling Quilt. 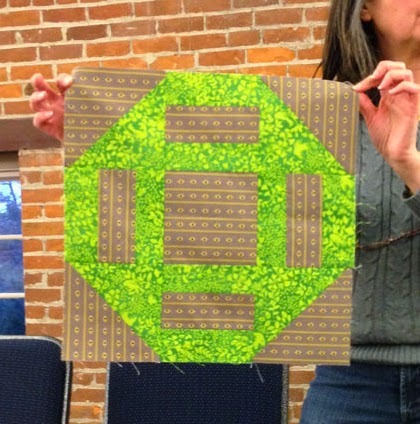 Guidelines: the goal is for this to be a modern sampler quilt; use a low-volume background. 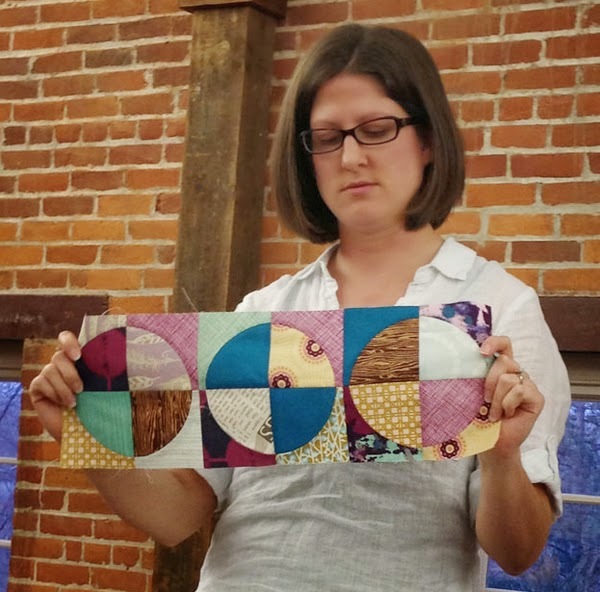 Amanda's Traveling Quilt. Guidelines: make more confetti blocks with a white border. Christy's Traveling Quilt. Guidelines: use blues and greens with an ocean theme. 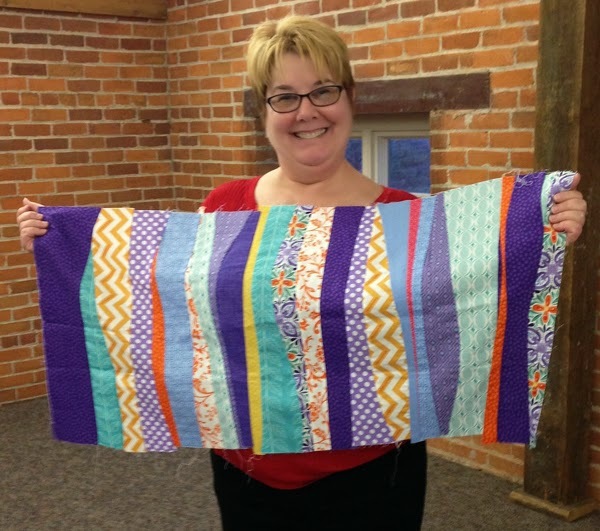 Michelle's Traveling Quilt. Guidelines: use magenta, teals, and yellows and a gray background. 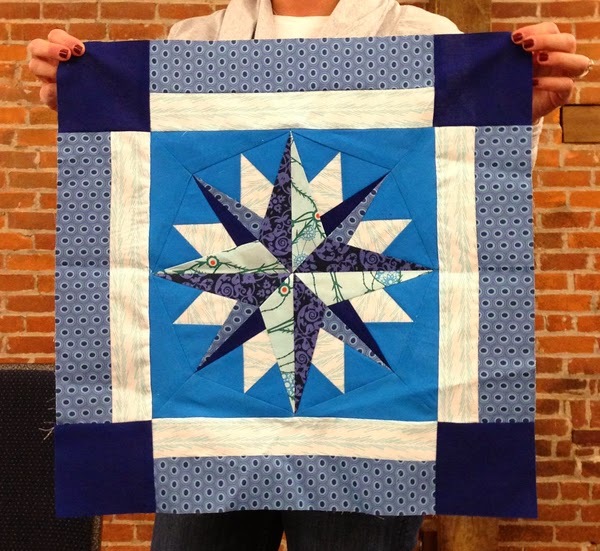 Janine's Traveling Quilt. Guidelines: make any block pattern in any color. 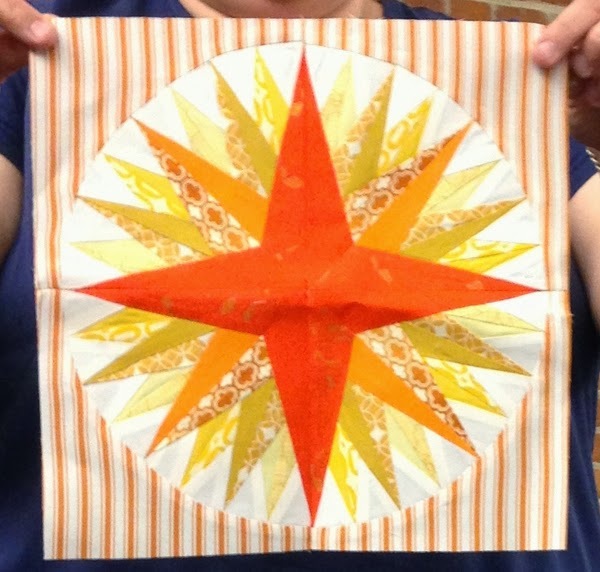 Kathy's Traveling Quilt. 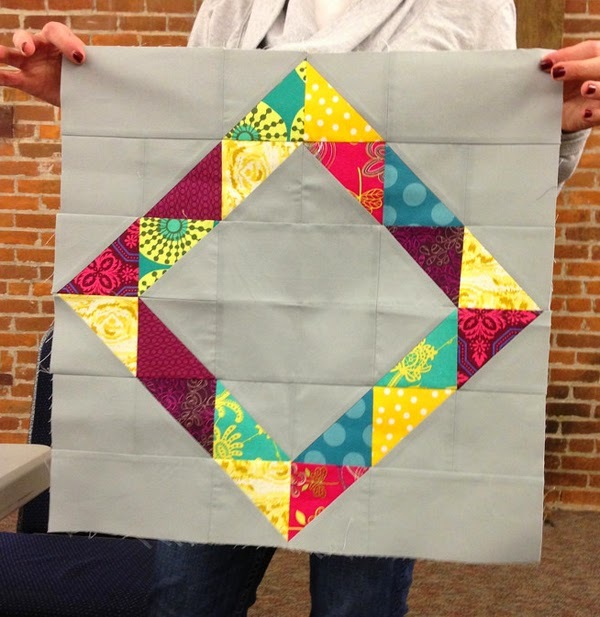 Guidelines: make this block or any block with bright colors on a white background. 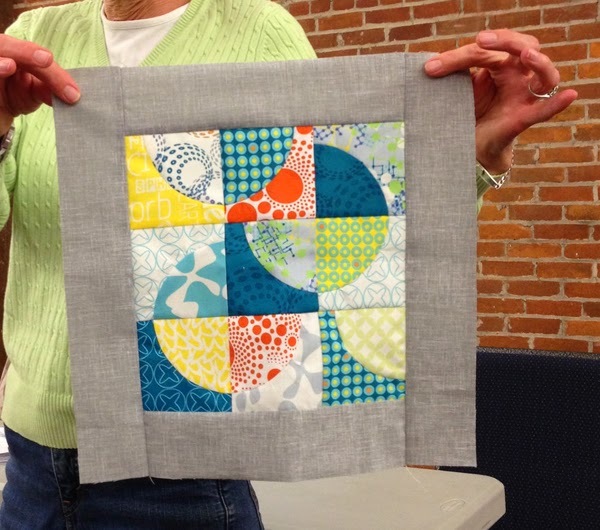 Carole's Traveling Quilt. Guidelines: anything goes. Kayla's Traveling Quilt. Guidelines: make any house block, wonky improv house, or steppingstones block. Jessica's Traveling Quilt. 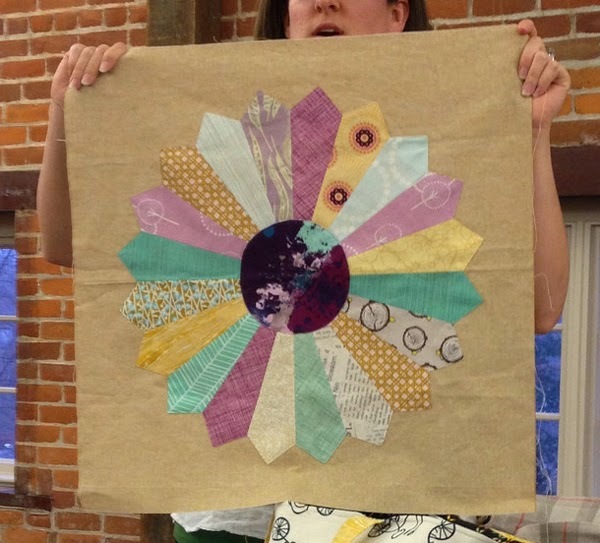 Guidelines: make a circle-themed block using a bit of the Jay McCarroll fabric provided. Brooke's Traveling Quilt. Guidelines: the theme is nautical, so anything pirates, sailboats, etc. Brooke included a journal with her block to give her team members some inspiration. Gillian's Traveling Quilt. 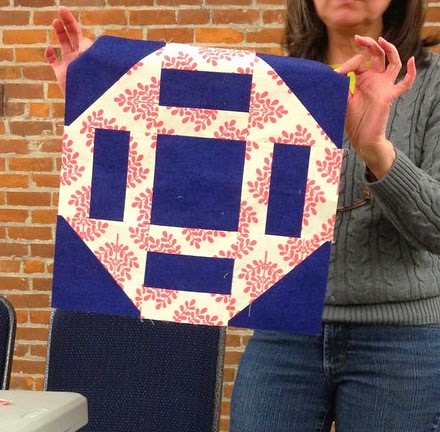 Guidelines: make improv blocks using low-volume scraps; trim her piece or chop it up if you like, too. Gillian included a journal with her block, too.